This becomes the topic of the conversation every time a client gets excited about a house. They have gotten a pre-qualification letter and they are so excited because they can afford the house I showed them a couple of days ago and want to put an offer, Yippee or Yikes!! I called them and said do you know the difference between a pre-qualification and a pre-approval letter? Answer: Nope, what’s the difference? There is a big difference! I told them. The difference is between “being able” and “not being able” to buy the house you have fallen in love with. 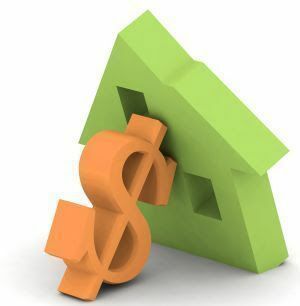 When a home buyer is pre-qualified, the lender performs a quick check to generally determine how large a home loan the buyer can afford. Essentially, when a buyer is pre-qualified, the lender is saying it would most likely approve the buyer for “x” amount. And some lenders, not all, will also pull a copy of the buyer’s credit report. A pre-approval on the other hand goes much deeper. In order to issue a pre-approval, a lender Should examine and verify the borrower’s debt, income, savings, assets to ensure borrower can repay the loan amount. Where pre-qualification is a sort of educated guesstimate of the buyer’s purchasing power, a pre-approval should say the prospective buyer would definitely be approved for a loan. The major reason that a pre-approval is now so important is the over-documentation required in the lender industry. Everything is scrutinized…. Tax returns with all schedules and write offs, bank statements, paystubs, divorce decrees, investment documents, wills, trust funds, work employment, college transcripts, etc. A true pre-approval is particularly useful for multiple reasons. To begin with, pre-approval instantly lets you know what your actual budget is. Knowing what you can afford from the outset will help you better focus your efforts and ensure you are not wasting time looking at houses you cannot afford. Being pre-approved also provides you with an advantageous position over other buyers, because pre-approval assures the seller that you have access to the loan necessary to back the purchase offer. Moral of the story, if you are serious about buying, save yourself and your agent some time and get pre-approved. The process doesn’t take that much time but it will save you a lot of time and disappointment in the long run. I personally don’t accept a pre-qualification from a buyer when I am representing sellers. I owe it to my seller to make sure someone is fully qualified before we take their property off the market.